The other main diagnostic manual is the International Classification of Diseases (ICD-10), which the World Health Organisation is currently revising. depersonalization a sense of detachment or disconnection from one’s self, this can include feeling like a stranger to yourself, feeling detached from your emotions, feeling robotic or like you are on autopilot, or feeling like a part of your body does not belong to you. Some people self-injure when depersonalized, for example in order to feel "real". derealization a sense of disconnection from familiar people or one’s surroundings, for example, close relatives or your own home may seem unreal or foreign. Episodes of derealization may happen during flashbacks; you may suddenly feel much younger and feel your present environment is unreal during this time. identity confusion an inner struggle about one’s sense of self/identity, which may involve uncertainty, puzzlement or conflict. Severe identity confusion regarding sexual identity has been reported in people who have been sexually abused. 1. Black, Donald W. (2014) (coauthors: Grant, Jon E.). DSM-5 Guidebook: The Essential Companion to the Diagnostic and Statistical Manual of Mental Disorders, Fifth Edition. American Psychiatric Pub. ISBN 9781585624652. 3. Task Force on Nomenclature and Statistics American Psychiatric Association. (1980). Diagnostic and statistical manual of mental disorders (3d ed.). Washington, D.C.: American Psychiatric Association. 4. American Psychiatric Association. Task Force on DSM-IV. (1994). Diagnostic and statistical manual of mental disorders: DSM-IV. (4th ed.). Washington, DC: American Psychiatric Association. ISBN 0890420610. 5. American Psychiatric Association. (2013). Diagnostic and statistical manual of mental disorders: DSM-5. (5th ed.). Washington, D.C.: American Psychiatric Association. ISBN 0890425558. 6. Steinberg, M., & Schnall, M. (2001). The Stranger in the Mirror: Dissociation-The Hidden Epidemic.HarperCollins. ISBN 0060954876, ISBN 0062063227. 7. Steinberg, M. (1995). 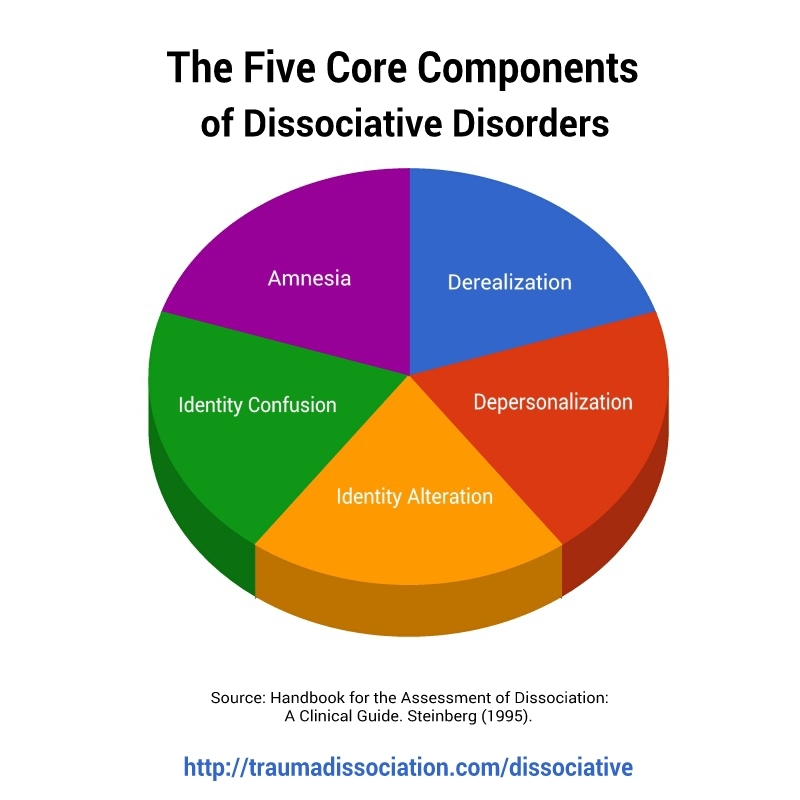 Handbook for the Assessment of Dissociation: A Clinical Guide. American Psychiatric Pub. ISBN 0880486821. 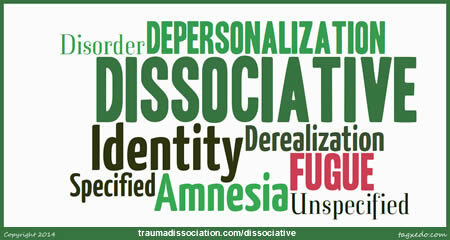 Dissociative Disorders. Traumadissociation.com. Retrieved from . Sharing information about trauma and dissociative disorders.